The Spanish media conglomerate PRISA and Victoria Capital Partners on Friday signed off on the sale of the latter’s 25% of educational publisher Santillana. 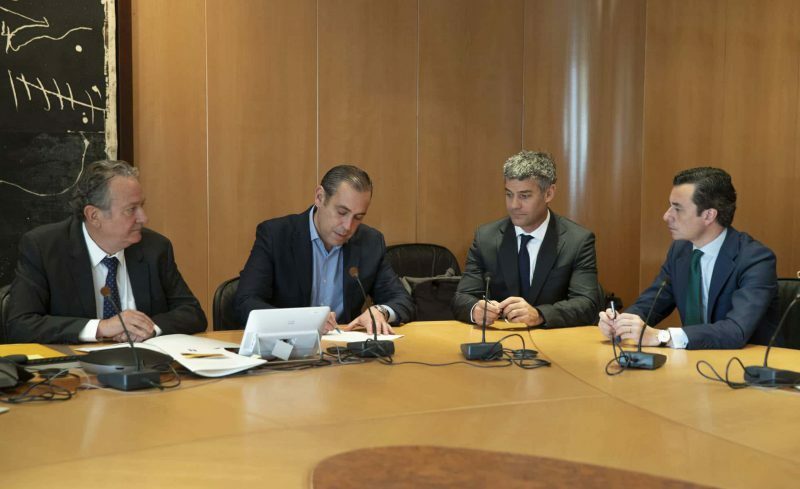 The total amount of the operation is €312.5 million – paid in cash to the seller – and it gives PRISA 100% control of its own education subsidiary. Santillana is to pay the private equity group the preferred dividend corresponding to its shares for the year 2018 and for the corresponding portion of the year 2019 up until today. This acquisition represents a major milestone for PRISA, giving it full control of an asset that it sees as key to future development. The move also offers enormous potential for increased value for shareholders and substantially improves cash generation. The opportunities offered by digital transformation and the Group’s positioning and growth margin in Ibero-America are the keys to developing PRISA’s strategy, which involves creating a unique, cross-disciplinary and global project in the areas of education, entertainment and news (general interest, business and sports). The acquisition of Santillana comes at a time of very promising growth prospects for the education sector. The company is an industry leader in Spain and Latin America and it is the only global operator in those markets. Santillana is committed to digital learning systems with a high component of innovation. These have been successfully rolled out across 15 countries in the Americas and more than 3,000 schools, where they already serve almost 1.5 million users. The weight of this activity, in which Santillana leads in Latin America, for PRISA as a whole is becoming increasingly important. It accounted for 22% of business in 2018 compared to just 10% in 2012, the original launch year. These learning systems come complete with an educational methodology, teacher training, equipment for schools, and assessment and evaluation platforms. This new business model of digital learning systems offers more reliable revenue streams, with contracts signed for an average term of three to four years and a revenue per student of €120, well above the €60 average under the traditional model. The average renewal rate is 86% and the gross margin is above 80%. Currently, revenues from digital learning systems account for 37% of total private sales revenues in Latin America. Given the good prospects for business growth – particularly in the digital sector – the acquisition of 25% of Santillana from Victoria Capital Partners will maximize the value of the asset, and enable the Group to increase cash generation by eliminating the annual preferred dividend of $25.8 million and making the company’s financial structure more flexible. The operation has been funded from resources available on PRISA’s balance sheet and from the capital increase of €200 million that was closed last Thursday after being previously announced to the markets on March 20. The offer has been oversubscribed 20 times over, demonstrating the strong market interest in the company. It’s a confidence shared by investors who were already shareholders of the group and who have subscribed more than 60% of the capital increase. The operation also provides greater liquidity, with the free float increasing from 16% to to 26%. PRISA set a price of €1,33 per share (€0,94 nominal value, with an issue premium of €0,39 each) and has issued 150.24 million new shares. Banco Santander, Morgan Stanley and Alantra Capital Markets have underwritten the operation, and Uría Menéndez provided legal advice. PRISA closed 2018 with a comparable EBITDA of €298 million, which represents an increase of 10.3% from the previous year. Over the past year, an efficiency plan has generated savings of €48.5 million – surpassing in a single year the target of €40 million set for three years. Cash generation was €42 million, while net debt at the end of the year stood at €929 million, compared to €1,4 billion in December 2017. PRISA has also introduced a divestment plan for more than €60 million.